If Charlie Sheen were a bourbon, he would be Wild Turkey Kentucky Spirit; the stuff in this bottle is haughty and arrogant. Obnoxious even. Similar to the bottle that it come in (older bourbon drinkers may remember the original Wild Turkey Kentucky Spirit bottles to have a flashy silver pewter stopper and a silver foil label). Don’t get me wrong; these aren’t pejorative statements – Wild Turkey has always been my first love and the first bourbon I drank intentionally. I hope I never forget that first glorious sip…but the memories of the aftermath puking I can live without. Hey, it aint called mild turkey! Back in 1996 Wild Turkey Kentucky Spirit won the “Best of the Year” award for 1995 from the “Malt Advocate” Magazine, and is the recipient of one Gold Medal from the 2000 International Wine & Spirit Competition. Everybody loves Wild Turkey! According to Wikipedia, its the drink of choice for adult male leads in Rambo: First Blood Part II and The Cassandra Crossing, Rush, Mystic River, In the Heat of the Night, Silver Bullet, Who Framed Roger Rabbit, Bad Lieutenant, The Punisher, and The Guardian, and it was the drink of choice for Louisville’s own Hunter S. Thompson (of Fear and Loathing in Las Vegas fame). The Wild Turkey team has had their act together for generations. Under the watchful eye of Master Distiller (and all around good guy) Jimmy Russel, each barrel is hand-selected for consistency and quality at the peak of the barrel’s maturity, and it shows. The nose is crisp with Ethyl and reminds me of lemon pound cake. There is a nice leathery waft, vanilla, chocolate, char, and cherry. Its the kind of nose that makes you grunt with satisfaction before you even take the first sip. And what a first sip it was! The first taste was nothing like the nose. The proof is forward to be sure, but sweetcorn blooms through, with hints of clover and citrus zest hiding out in the background. The rye goes crazy in you mouth with spiciness, and there is some legit heat in your throat. This is a full bodied bourbon, viscous even. Almost like a very light syrup. It hugs the sides of your tongue and horse whips your taste buds without mercy. Once its done punishing you, it soothes you with a moderately long finish that’s something like a honey hickory pork sausage. Oak tannins and resin make for a perfect cap to a marvelous Kentucky single barrel! 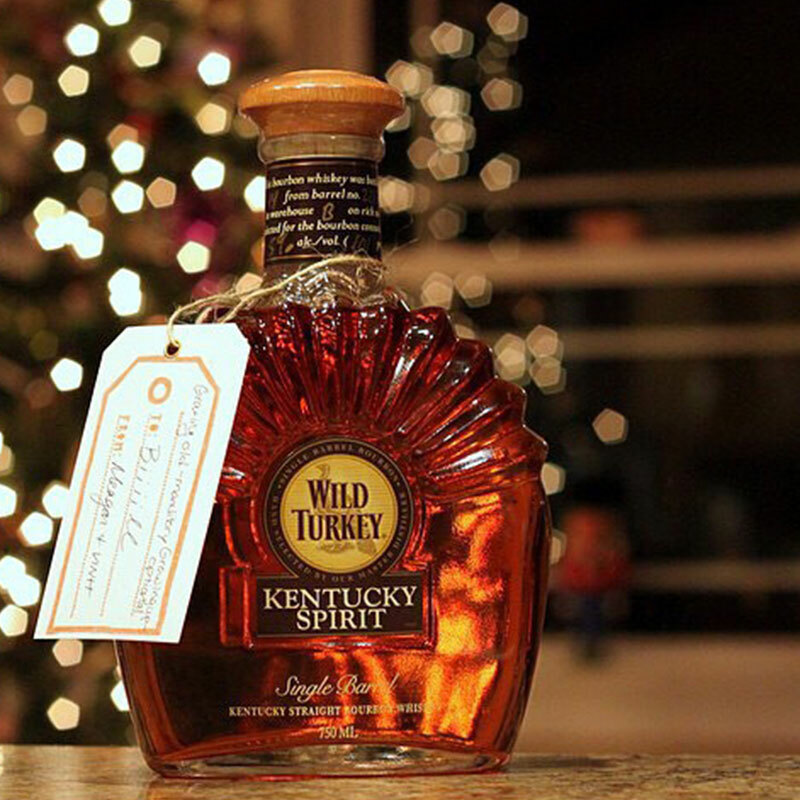 Wild Turkey Kentucky Spirit is made to please, and I tip my drinking hat to the team at Wild Turkey! This is what bourbon should be, and I confidently give this bourbon an A-. At typically $50 for a 750mL bottle, its well worth the price. If you are out drinking, expect to pay around $12 to $15 for a pour. Find out how we grade our bourbons. If you disagree with the grade, don’t be shy! Leave a comment below. I am currently tasting all “A” bourbons. Just finished a bottle of Rock Hill. Great stuff . However , comparing it to Kentucky Spirit, Spirit wins! I found the nose delightful and sweet. It is extremely smooth for its proof and may become one of my favorites. Love the viscosity which allows the flavor to linger and linger , great job Wild Turkey. Might be with an A+! Couldnt agree more! I have always been a Wild Turkey fan, though. So I might be a little biased! What did you pay for the Rock Hill Farms?